Potentially unwanted software is a big issue in today's computing. It is largely a problem on Windows systems and usually refers to the bundling of unwanted programs with software that you have downloaded from the Internet. The recent Lenovo scandal has shown that potentially unwanted software may also be added to systems by manufacturers of said devices. On top of being annoying and sometimes deceptive, these programs are designed to make money most of the time. This is done by changing search providers for example, collecting data or in some cases selling software to the user. Two of the main sources for these bundled downloads are search engines and download portals. Search engines because of misleading ads and how they rank download sites, and download portals because many bundle offers with downloads automatically to make more money. Google announced yesterday that it has improved the unwanted software protection in Google Chrome and Search. Chrome users have been getting warnings before downloading potentially unwanted software for some time now. The system does not work properly though as it warns about legitimate software from developers like Nirsoft and software that it has not encountered often as well. 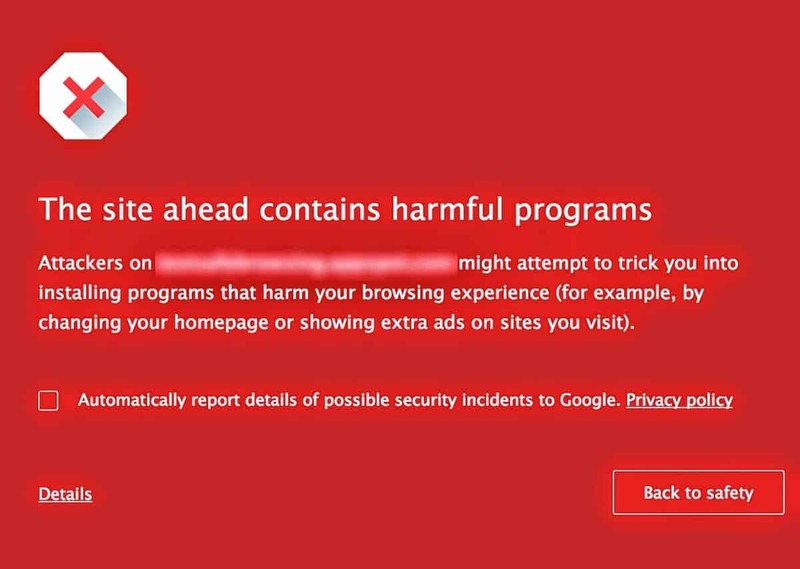 According to Google, Chrome users will see another warning and this time before they visit a site that may offer harmful programs. Attackers on [site] might attempt to trick you into installing programs that harm your browsing experience( for example, by changing your homepage or showing extra ads on sites you visit). There is a back to safety button to not visit that site, a checkbox to report the site to Google, and a details button which displays additional information about the site and an option to visit it anyway and ignore the warning. All users benefit from a new ranking signal in Google Search that identify deceptive sites. These come into play when Google computes a site's ranking for search terms in its search engine and reduces the likelihood that the site is displayed prominently in search. This means that the traffic flowing to sites flagged by Google this way may drop as its visibility is reduced overall. Last but not least, Google began to disable ads that link to sites with unwanted software. The last two efforts are welcome steps to address a problem that has existed for quite some time on the Internet. It remains to be seen if large download portals such as Cnet's Download, Sourceforge or Softonic will be affected by this as well or if Google does not classify them as sites carrying potentially unwanted software. Google improved protection from unwanted software in Chrome and Google Search recently, for instance by removing deceptive ads from its search engine. This is a super development and can only enhance the reputation of the browser provider. Obviously the Chrome policy could be abused by Google, but I think it’s highly doubtful. Chrome now brings up this warning for Sourceforge. This has blocked me from websites that I have visited for years. this blocks sites that do not do what they claim to do, and this can be used to cut users from sites that u use and are bad only to the some companies or industries, bad thing and it does not benefit normal users. Referring to https://torrentfreak.com/chrome-blocks-major-torrent-sites-over-harmful-programs-150710/ may clarify what’s going on, if applicable to your general comment. I haven’t observed this problem as I use OpenDNS to block sites as they deem fit. My testing is not all-inclusive of the affected sites, however.